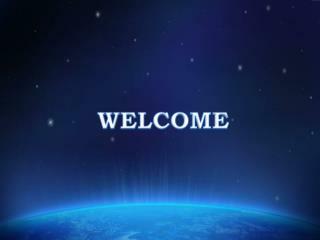 Welcome!. 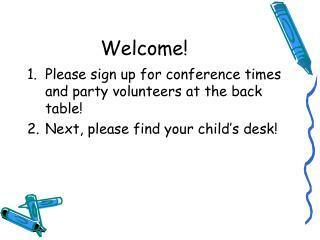 Please sign up for conference times and party volunteers at the back table! Next, please find your child’s desk!. 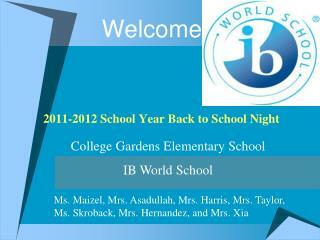 First Grade Curriculum Night. 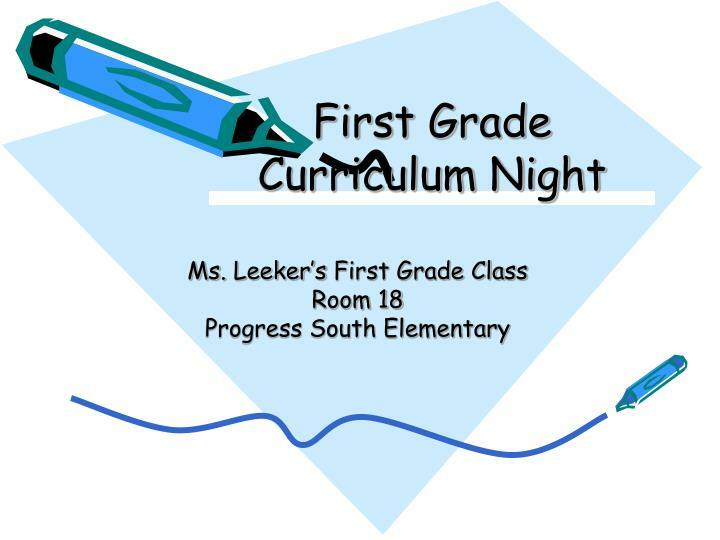 Ms. Leeker’s First Grade Class Room 18 Progress South Elementary. Grading. 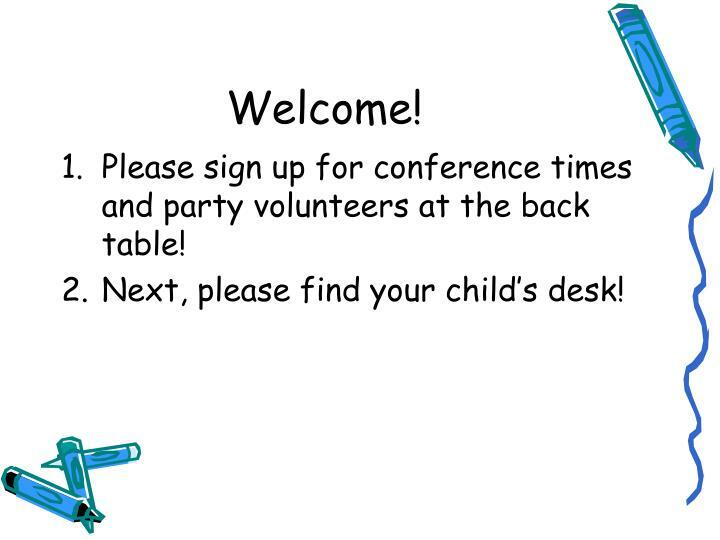 Please sign up for conference times and party volunteers at the back table! Next, please find your child’s desk! 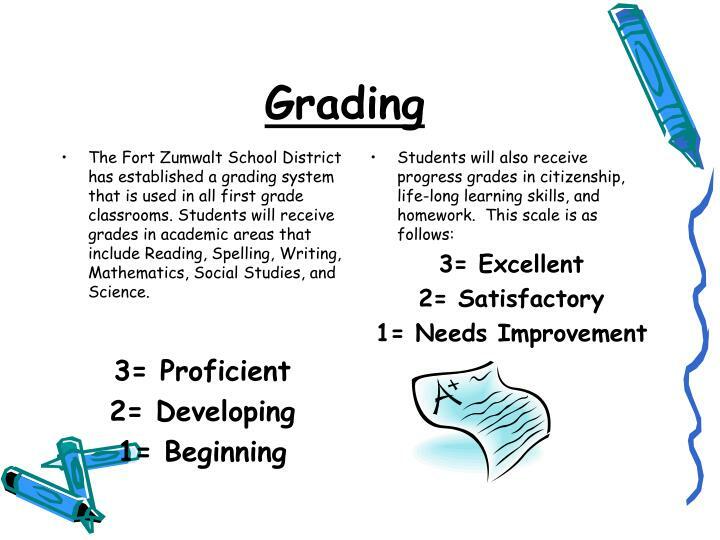 The Fort Zumwalt School District has established a grading system that is used in all first grade classrooms. Students will receive grades in academic areas that include Reading, Spelling, Writing, Mathematics, Social Studies, and Science. 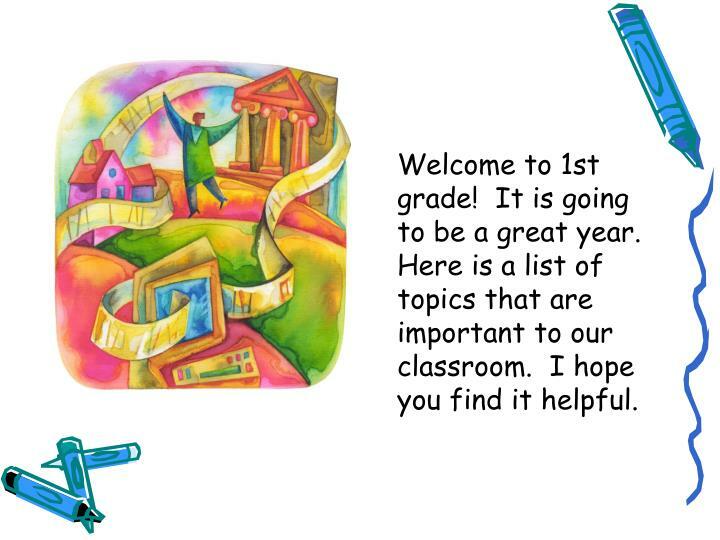 Welcome to 1st grade! 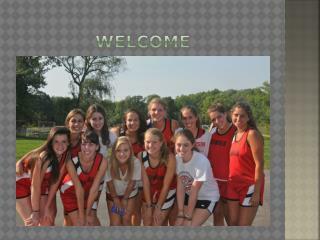 It is going to be a great year. 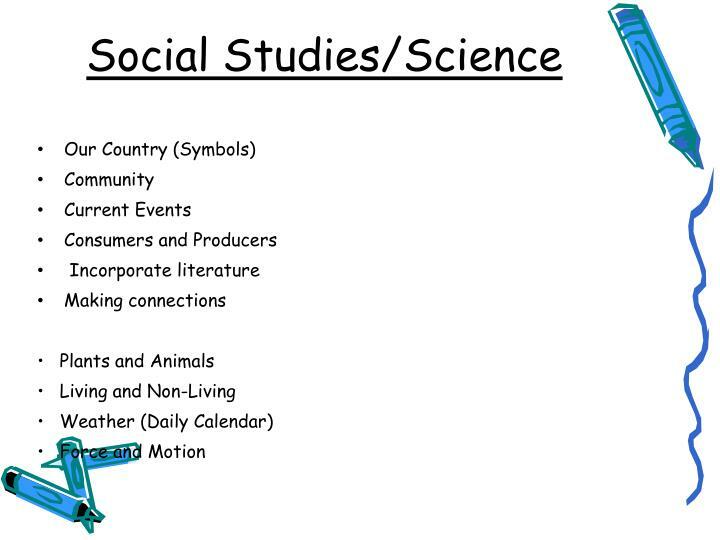 Here is a list of topics that are important to our classroom. I hope you find it helpful. 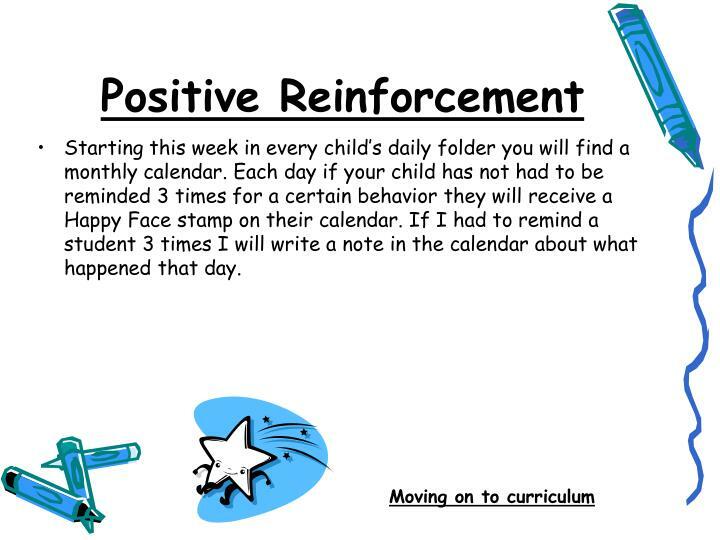 When your child misses a day from school, work will either be completed at home or will be sent home upon his/her return. 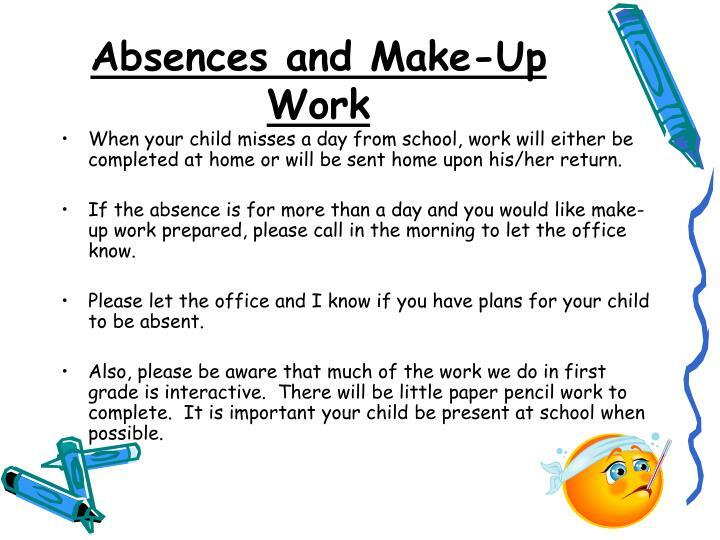 If the absence is for more than a day and you would like make-up work prepared, please call in the morning to let the office know. 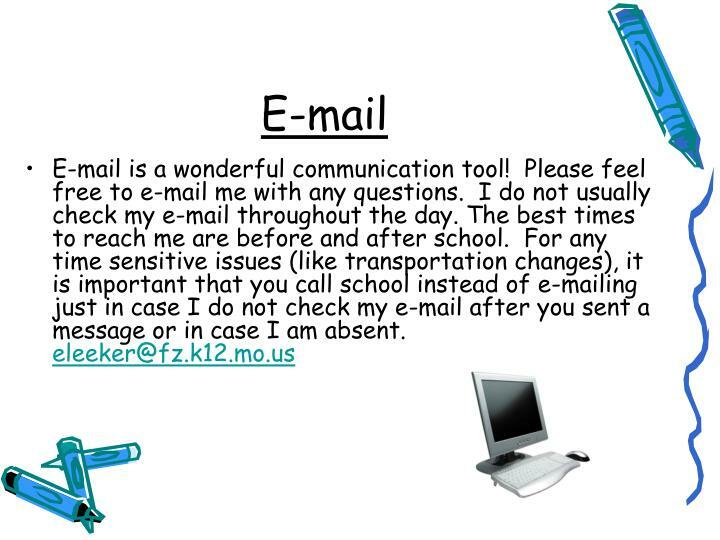 Please let the office and I know if you have plans for your child to be absent. 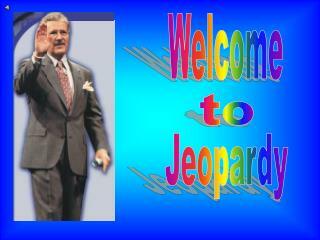 Also, please be aware that much of the work we do in first grade is interactive. There will be little paper pencil work to complete. 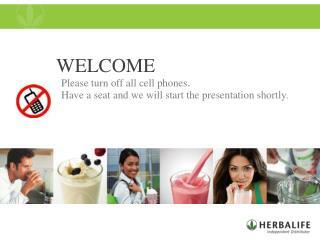 It is important your child be present at school when possible. 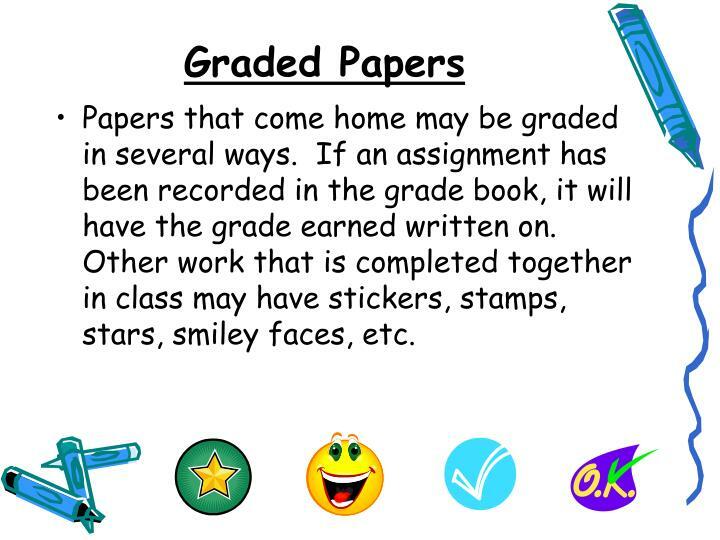 Papers that come home may be graded in several ways. If an assignment has been recorded in the grade book, it will have the grade earned written on. 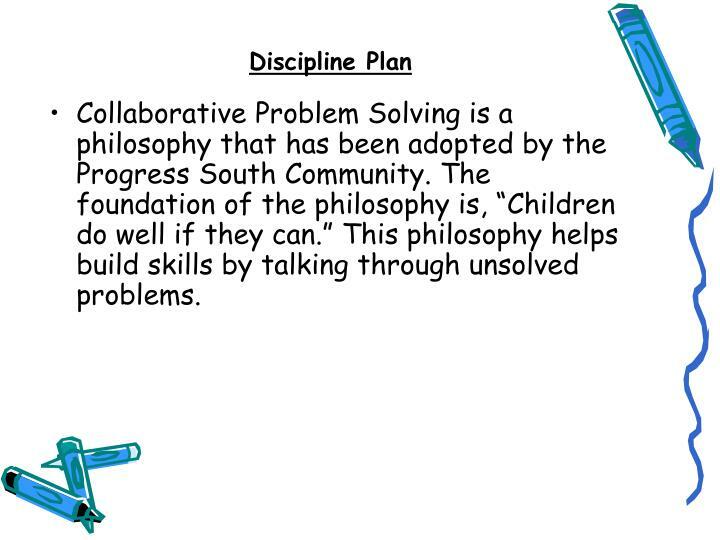 Other work that is completed together in class may have stickers, stamps, stars, smiley faces, etc. 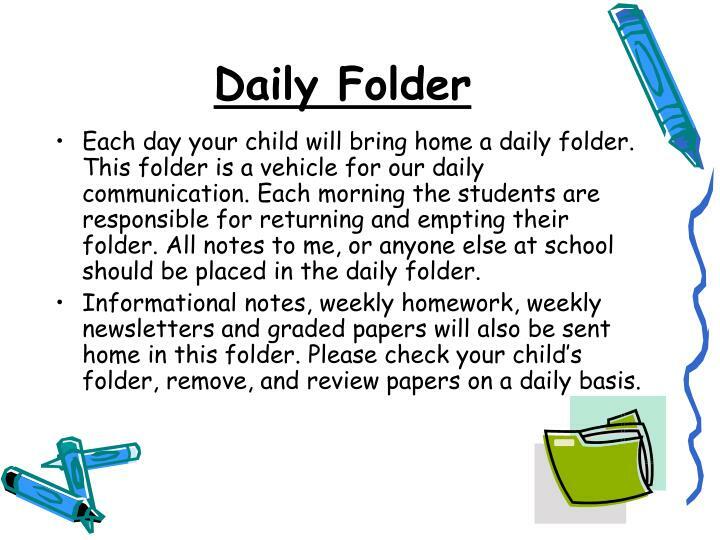 Each day your child will bring home a daily folder. 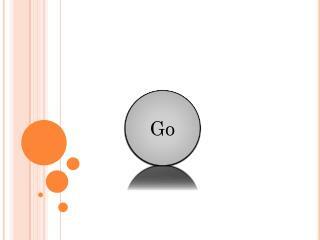 This folder is a vehicle for our daily communication. 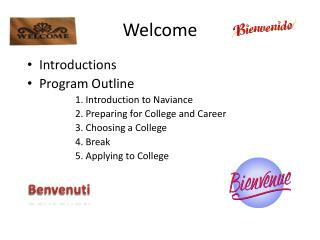 Each morning the students are responsible for returning and empting their folder. All notes to me, or anyone else at school should be placed in the daily folder. 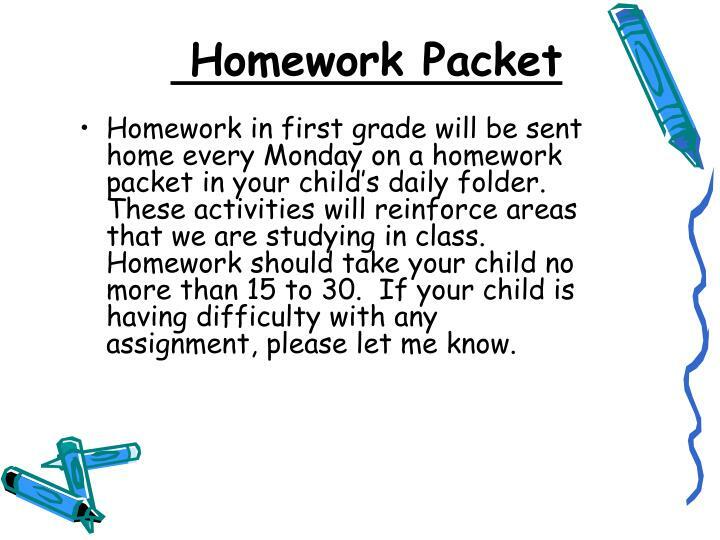 Informational notes, weekly homework, weekly newsletters and graded papers will also be sent home in this folder. 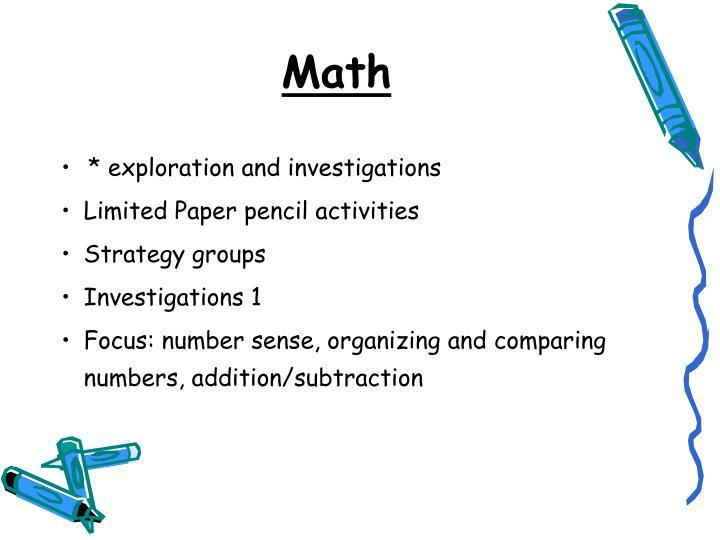 Please check your child’s folder, remove, and review papers on a daily basis. 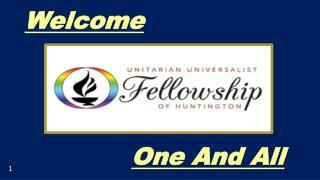 It is district policy for every volunteer to fill out a background check form. 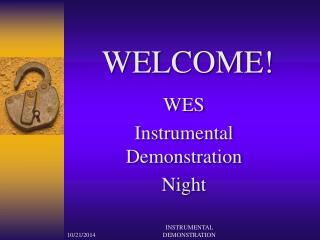 This procedure is for the safety of our students. 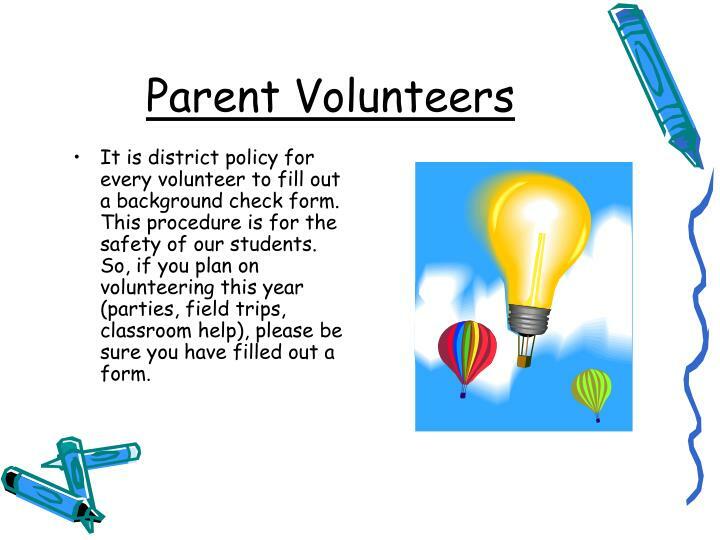 So, if you plan on volunteering this year (parties, field trips, classroom help), please be sure you have filled out a form. 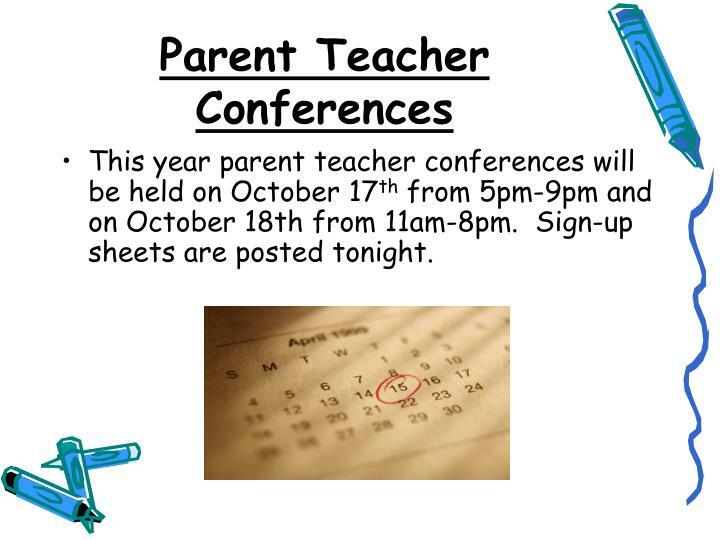 This year parent teacher conferences will be held on October 17th from 5pm-9pm and on October 18th from 11am-8pm. 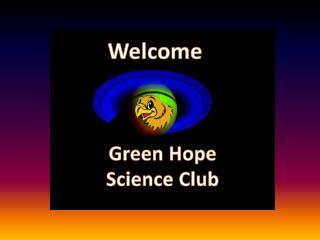 Sign-up sheets are posted tonight. We always enjoy celebrating birthdays. 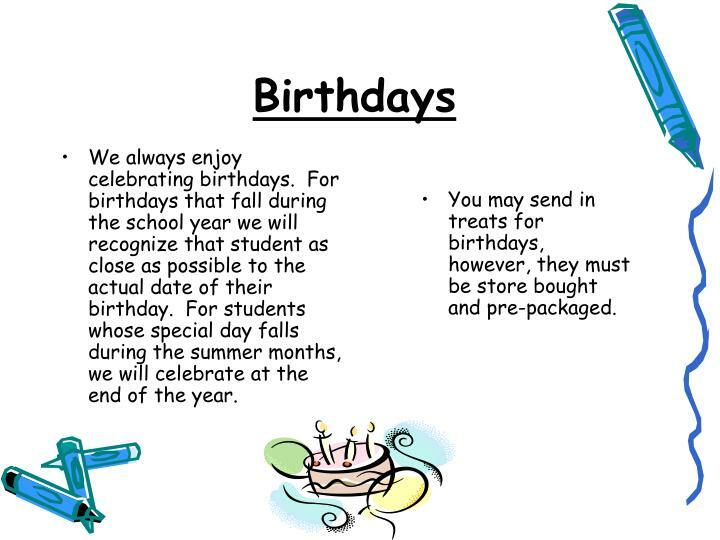 For birthdays that fall during the school year we will recognize that student as close as possible to the actual date of their birthday. 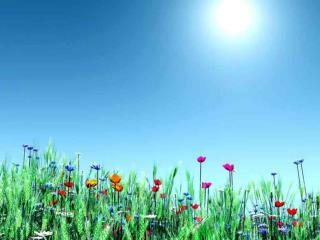 For students whose special day falls during the summer months, we will celebrate at the end of the year. You may send in treats for birthdays, however, they must be store bought and pre-packaged. 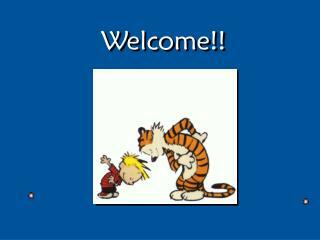 We have worked together during the first week of school to make our classroom rules. 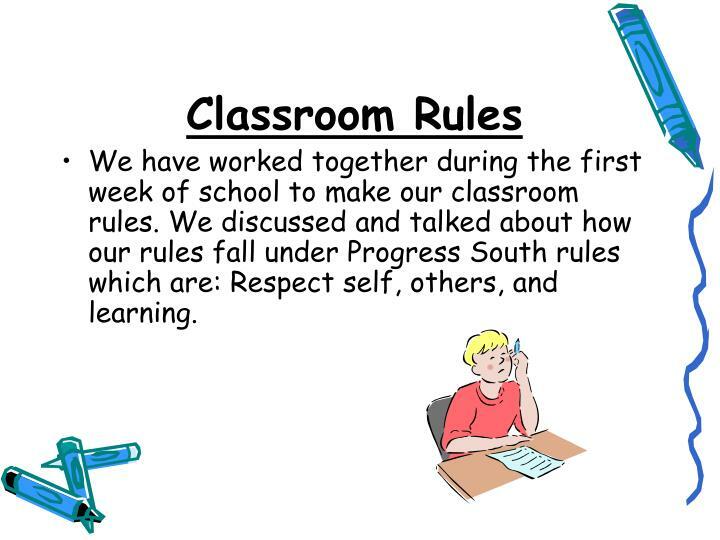 We discussed and talked about how our rules fall under Progress South rules which are: Respect self, others, and learning. 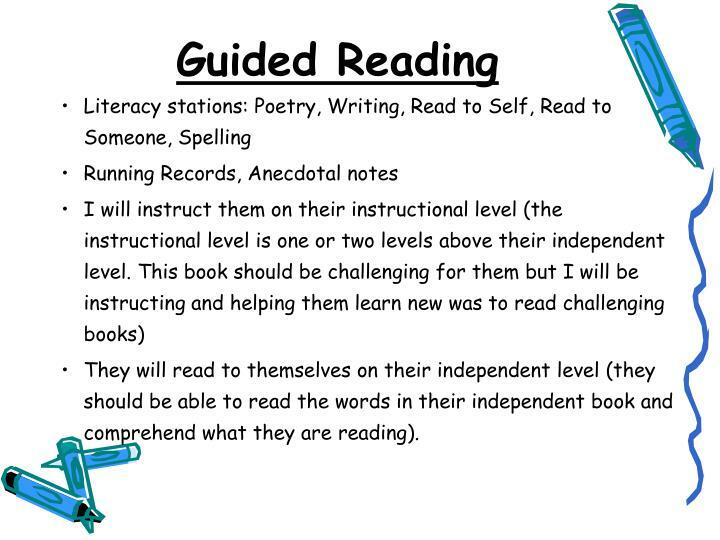 They will read to themselves on their independent level (they should be able to read the words in their independent book and comprehend what they are reading). Stretching out the sounds on their own! 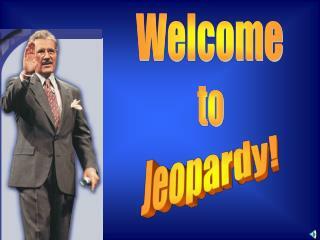 Have them write the word the way they think it should be spelled. 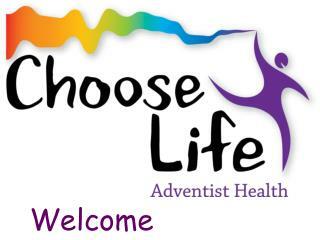 Then ask them to sound out the word. Make sure that they hear the sounds of the word. 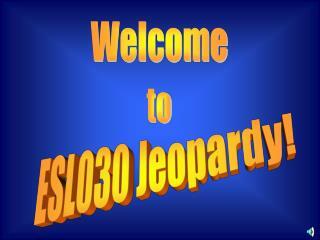 There will be an “assessment” at the end of every week. 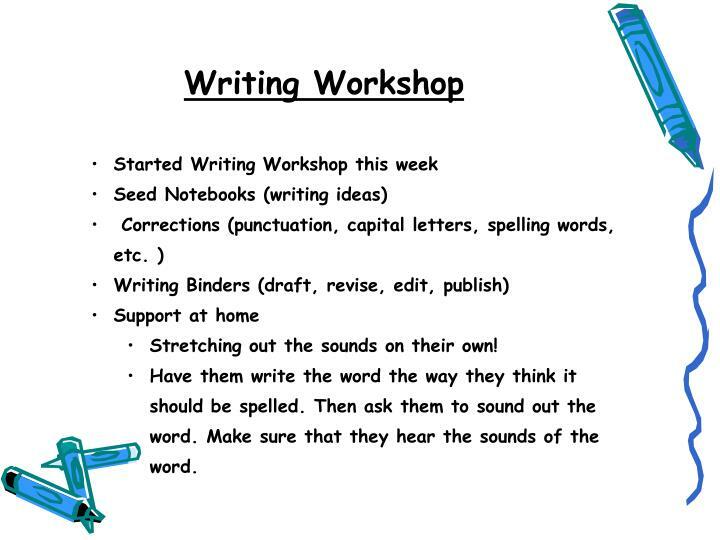 Once the students have been assessed I will expect them to use the words correctly when reading and writing. Every student has a sight word challenge book. 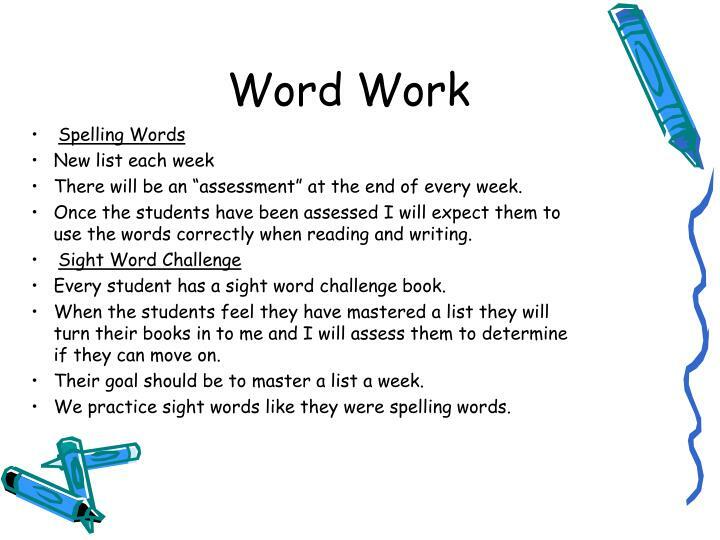 When the students feel they have mastered a list they will turn their books in to me and I will assess them to determine if they can move on. Their goal should be to master a list a week. We practice sight words like they were spelling words. 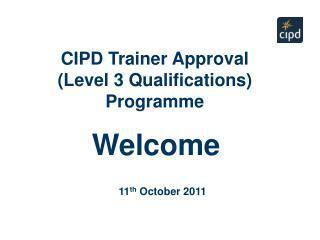 If you have any questions, I’m here to help! 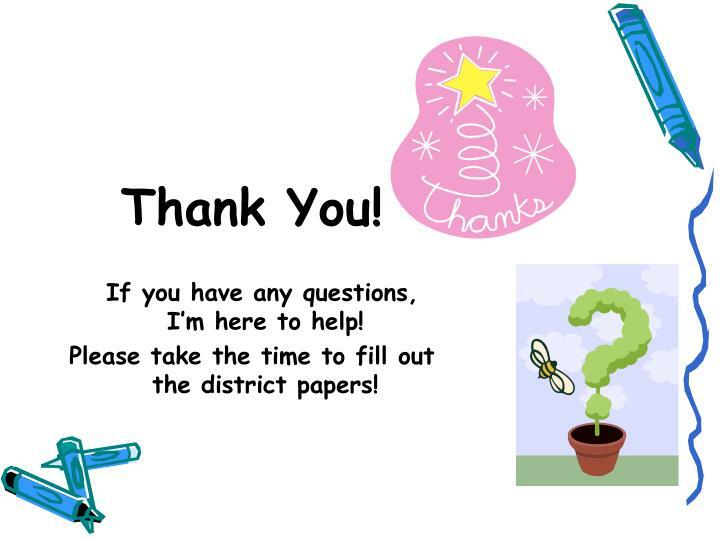 Please take the time to fill out the district papers! 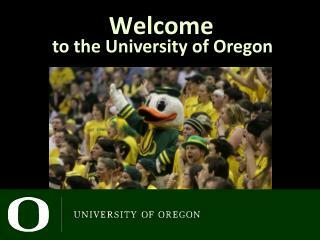 Welcome ! -. 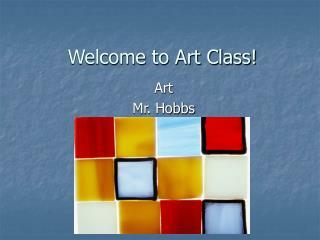 1. dental anatomy and imaging with eriks oct 2012. 2. dental anatomy. 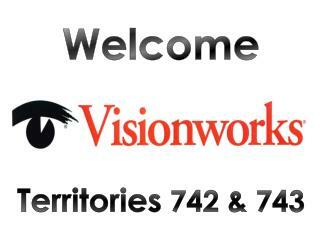 general naming of teeth: tip: views always look into the patients mouth (not your own). maxillar (upper). mandibular (lower). 3. dental anatomy.